Attendees and event speakers are invited to take part in exclusive tours as part of their attendance at the SVG College Sports Summit. The tours will be held the afternoon and evening of Wednesday, June 1. 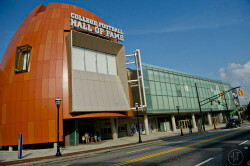 Newly opened in the summer of 2014, the College Football Hall of Fame welcomes SVG Summit attendees with a complimentary pass and an opening night reception. Reconnect with old friends, make some new ones, and meet some of our great technology sponsors. Drinks and snacks will be served! What would a trip to Atlanta be without a stop by CNN? 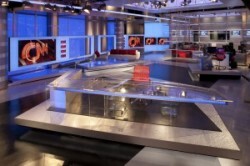 Attendees of theSVG College Sports Summit are offered an exclusive production-technology-centric tour of CNN’s facility. Included in the tour are stops inside various control rooms, studio sets, and editing suites.